Gem Connectors There are 6 products. This AAA Grade Rose-Cut Irregular Shape Hydro Peridot (Hydrothermal) Gemstone Parcel is originated from Lab Created - Total 50 Pieces in one Parcel. 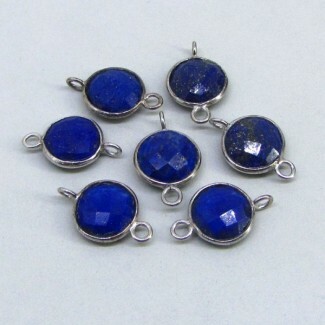 This AA Grade Checkerboard Bezel Connector Round Shape Lapis Lazuli (Un-Treated) Gemstone Parcel is originated from Afghanistan - Total 7 Pieces in one Parcel. 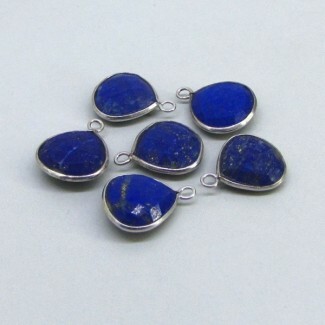 This AA Grade Checkerboard Bezel Connector Heart Shape Lapis Lazuli (Un-Treated) Gemstone Parcel is originated from Afghanistan - Total 6 Pieces in one Parcel. This AA Grade Checkerboard Bezel Connector Heart Shape Black Onyx (Heated) Gemstone Parcel is originated from India - Total 6 Pieces in one Parcel. This AA Grade Checkerboard Bezel Connector Heart Shape Black Rutile (Un-Treated) Gemstone Parcel is originated from Sri Lanka - Total 13 Pieces in one Parcel. This AA Grade Checkerboard Bezel Connector Heart Shape Black Onyx (Heated) Gemstone Parcel is originated from India - Total 25 Pieces in one Parcel.